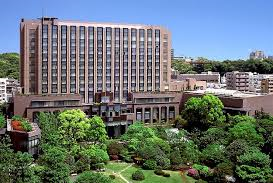 Aim: The 25th World Congress for Medical Law will be held in Tokyo, Waseda University International Conference Center in August 6-8, 2019. This Congress will focus on constructing a bridge between medical law, bioethics and legal medicine. Japanese Association of Medical Law has a history for 50 years since 1969, and has discussed various issues on medical law. Therefore we hope that many participants will meet at the Congress, and discuss subjects on constructing a bridge between medical law, bioethics and legal medicine. Turkish Airlines is the official airline of 25th World Congress for Medical Law and special discounts are offered on certain booking classes. In order to proceed with the online booking tool for Turkish Conventions please visit the Turkish Conventions website https://www4.thy.com/TKC/app/main?language=en and use the event code 104TKM19 under delegate section. Righa Royal Hotel is offering a reduced group rate of $194 USD single/$265 USD double for weekdays and $238 USD single/$308 USD double for Saturday. The rate is inclusive of service charge, breakfast and taxes. Click HERE to book online. Please note that the hotel system only allows for reserving 5 nights. If staying longer than 5 nights please make two (2) reservations. We understand that you have many choices when making your travel arrangements. Please note that reserving your room in the WAML room block maximizes your opportunity to have a great stay in close proximity to the sessions, exhibits, events and other attendees. It also enables our staff to help should you have any issues with your accommodations and negotiate the best possible hotel room rates for future annual meetings. Since its creation the WAML held 19 World Congresses, and used its International Journal Medicine and Law for the publication of more than 2000 articles of authors from more than 100 countries. The Association engages in educational activities and aims to promote discussion and deliberation among academic and non academic channels, through its bi-monthly Members Newsletter, its regular Radio Program and more. If you are interested in taking part in these activities and join our growing WAML family, you may apply for membership online.